After concentrating in the first half of the semester on Hawaiian history and culture, in the second half one of our two courses is dedicated to studies of contemporary social and political issues, while the other is an independent study. As our students’ independent projects are evolving, they are working to make connections between the materials we are learning here, and their major or minor fields back at Wheaton. 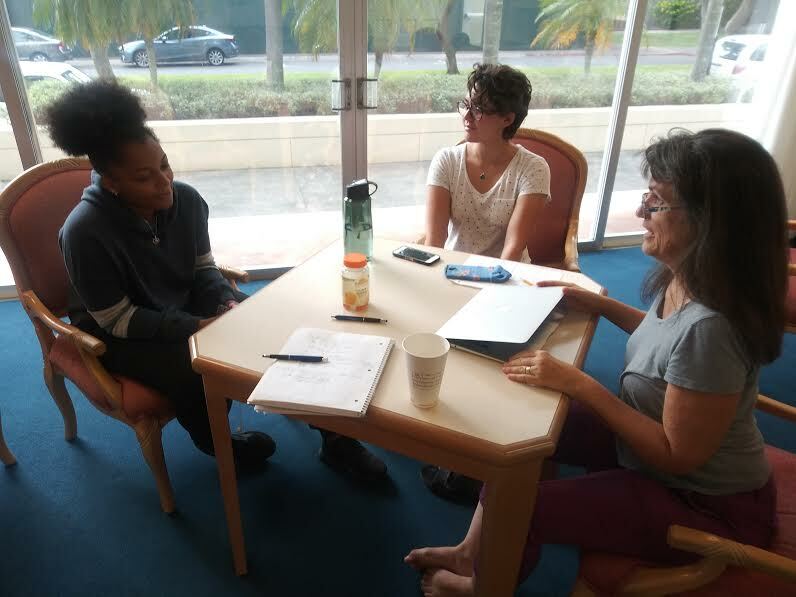 The help we have received from a group of consulting experts who gave freely of their time and expertise for our students has made a huge difference in our being able to integrate our class texts with the experiences going on around us in the city of Honolulu every day. At the beginning of the planning stages we started immediately to network and identify local experts on the ground here who could share their knowledge and experience with us. We knew that engaging local people deeply steeped in the arts and culture scene in Hawai’i would be critical for our teaching mission. In this post we would like to introduce, and to thank, some of the tremendously generous and talented people who have been a great help to us this semester. They’ve been with us in the classroom, and helped us move outside the four walls of class where integrative learning can take place. Hula dancer Charlene (Char) Hazlewood is a senior student of Kumu Hula (Hula master) Victoria Holt Takamine. Char contributed critically to our integrative learning by giving our students an eight week introductory course in hula. 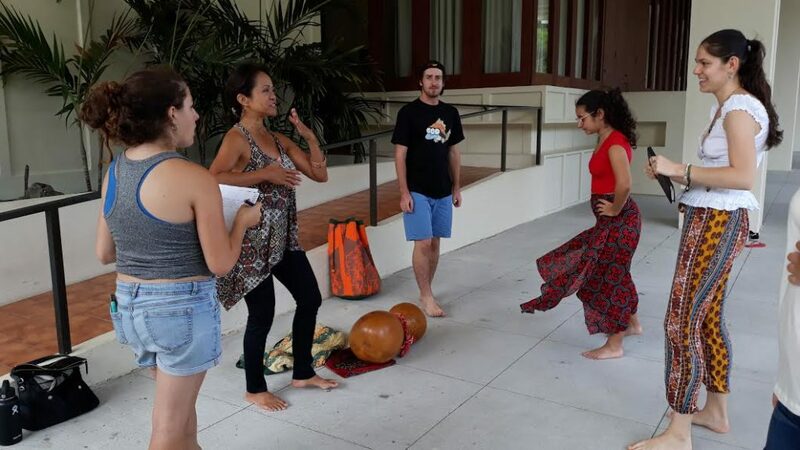 In the weekly meetings with Char our students learned the mele (song) and choreography of several different genres of traditional movement. Char taught us the songs in Hawaiian, translating layers of meaning, or kaona, essential to the physical interpretation of lyrics within the dance. Many topics of conversation came up in our weekly visits: the importance of Aina, the land, to hula, the responsibilities Char performs for her halau, hula school, how hula transmission practices have changed over time, her favorite beaches on the leeward side of the island, stories of a sacred, ceremonial weekend of hula in a forest on Kauai. Weekly for over two months, Char has graced our class with beautifully embodied, musical narratives informed by years of experience and a deeply held commitment to the culture of Hula. Social entrepreneur Lala Nuss is the founder and president of Conscious Concepts in Honolulu. Coming from a background in the travel and tourism industry, she worked for many years with hotels, airlines, and cruise companies before coming to her true passion. 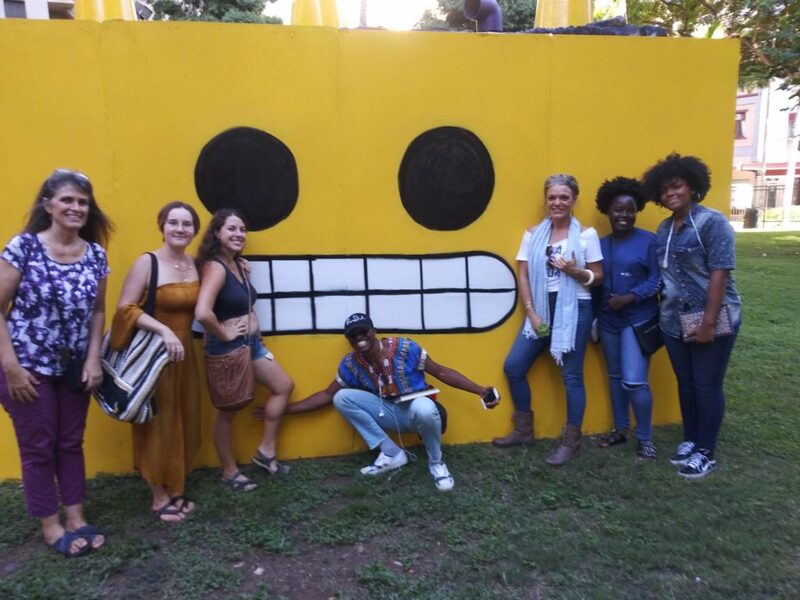 She now puts her expertise gained in the commercial sector to use in consulting with educational, non profit, and community groups to create and promote sustainable and regenerative programming. Throughout the semester she has been a great resource and inspiration to our students interested in social entrepreneurship. The photos of her here were taken the afternoon she invited us to Arts at Mark’s Garage, a collaborative gallery, performance and office space she has worked with on the edge of Honolulu’s Chinatown neighborhood. 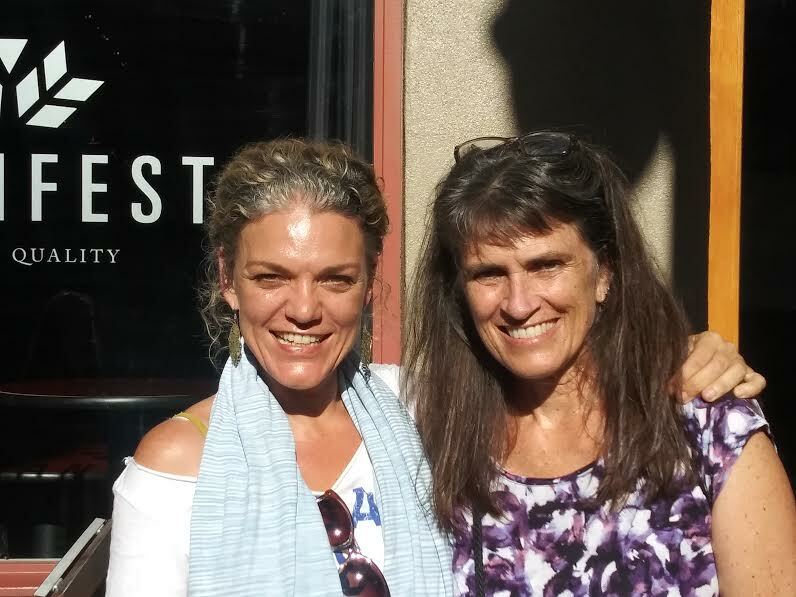 Dr. Gayle Todoki came into our lives at the beginning in the semester when I (Matthew) was having severe back pain after the ten hour flight from Boston and hoping to find an acupuncturist. Her treatments not only relieved my physical symptoms, but the conversations we had during those sessions opened up a philosophy and practice of medicine which I knew nothing about. 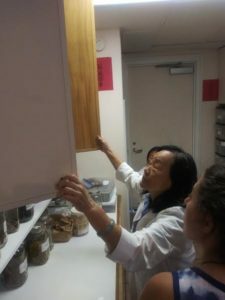 Soon enough, Prof. Searles also started going to Dr. Todoki for acupuncture, and we were both introduced to the blending and use of herbal teas. Her explanations of the functions of particular bodily organs and the causes of dis-ease have given me much to think about. 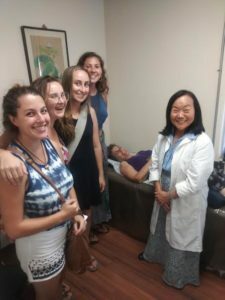 Several of our students became interested and so we asked Dr. Todoki if a group could sit in on an acupuncture session and learn some of its basic principles. She graciously consented; the photos here show the supine patient Prof. Searles with the Doctor and student observers, and the Doctor at her cabinet choosing a unique mixture of herbs for medicinal tea. Prof. Keoki Baclayon is also a healer. He teaches lāʻau lapaʻau (Hawaiian Medicine) courses at the Kamakakūokalani Center for Hawaiian Studies at the University of Hawai’i. He generously invited our students to sit in this semester on a weekly class he teaches on Hawaiian medicine. 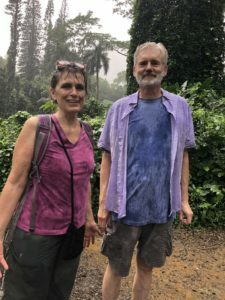 He began by taking us around the Lo’i cultural garden at the Center, showing us many of the plants and herbs which Hawaiian practitioners use in their healing, and then the class moved indoors to a classroom and lab space. The work in class is very hands on; one day recently the project was to make a salve from plants harvested in the Lo’i. Keoki has also introduced us to the thinking behind the five divisions of Hawaiian medicine: botany, horticulture, phytopharmacology (basically, the study of how drugs affect plants), the range of medicines used, and hoʻoponopono (the practice of reconciliation and forgiveness). Ms. Ku’uipo Kumukahi is a pioneer in the Honolulu music and entertainment industry. A highly respected composer and singer/guitarist, she occupies the position of Manager of Hawaiian Culture at the Hyatt Regency in Waikiki. 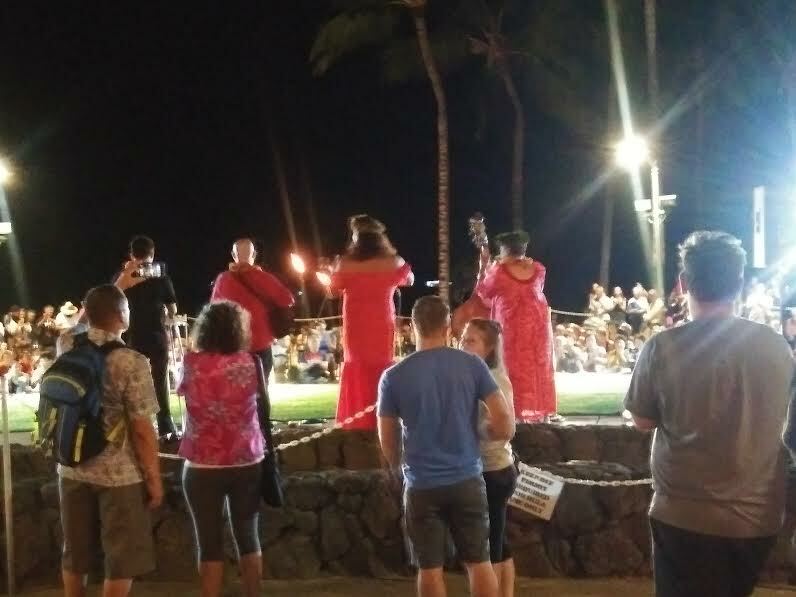 In a relatively recent development, several of the big hotel chains in Waikiki have brought on board Hawaiian cultural experts to fulfill several related functions. In her work for the Hyatt, Ku’uipo presents a series of performance events, gives historical tours of the hotel and the neighborhood, and she recently completed mounting a Hawaiian music and dance hall of fame historical exhibit; all these activities are open to the public. She also regularly consults with human resources staff at the hotel, giving cultural orientation sessions for new management, most of whom are from off-island and know nothing about Hawai’i beyond the stereotypical. 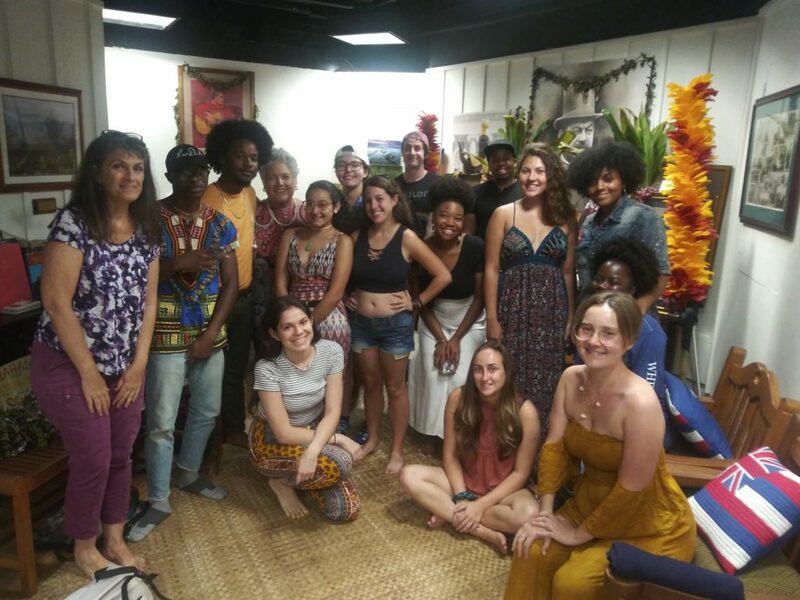 The photo is from the day we visited her (she is standing in the back row) in her office, when she brought us back a century in talking with us about her family history, including the migration from rural country Hawai’i to the big city. She also switched registers and spoke very much in the present, telling us about the satisfactions and challenges of trying to educate people in the heart of the tourist industry with its chequered history of appropriation and its propagation and reinforcement of so many stereotypes and misconceptions.